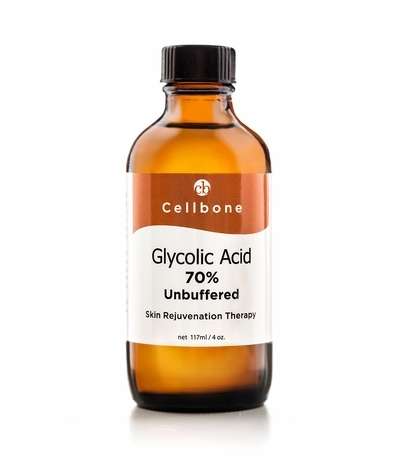 Glycolic Acid professional 70% Solution helps revitalize skin cells, diminish the appearance of aged spots, reduce hyper-pigmentation, and promote a clear, healthy looking complexion. 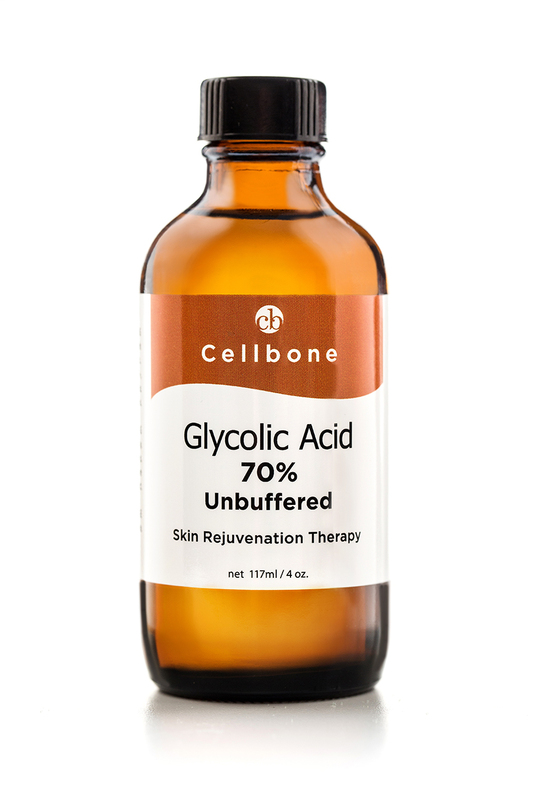 This pure Glycolic Acid (purity of 99.7%) in the Peel Gel is used to enhance performance in many topical over the counter (OTC) and prescription (Rx) applications. For professional use only. This product is very strong acid designed to be used by professionals. Apply 2 ml on clean, dry skin and wash off with cold water within 30 seconds. Follow with Neutralizer and Cellbone Hydra B5+ Gel. Use sunscreen.